Plan your year with the stars utilizing astrology and zodiac influences. 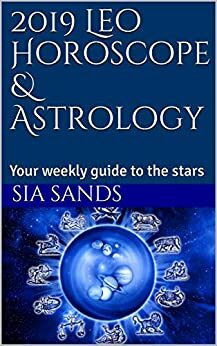 This fantastic guide to 2019 contains a detailed monthly list of astrological events and a weekly (four weeks to a month) horoscope forecast for the star sign Leo. This is the complete astrological must have for 2019. This detailed astrology book includes full moon meanings, astrological dates, mercury retrogrades, meteor showers, zodiac forecasts, and horoscopes.